Debra LaMar, 61, entered the gates of heaven early Thursday morning, November 29, 2018 comfortably at home surrounded by her family. A memorial will be held on Saturday, December 8, 2018 from 10:00 a.m. to 1:00 p.m. at McGinnis-Chambers Funeral Home in Bettendorf. In lieu of flowers, the family requests contributions be made to the Debra LaMar Memorial Fund in care of the Bettendorf Family Credit Union, which will go to Debe’s son, Hunter. Debe was born on July 22, 1957 in Davenport, Iowa the oldest beloved child to Ronald and Mary (Garey) LaMar. She graduated from Bettendorf High School in 1975. She served as class President and on Student Council for years. In her earlier years, she managed Rudy’s Tacos West for 13 years, making lifelong friendships with employees and customers. Debe joined Bettendorf City Council in 1998 and served as Mayor Pro-Tem for 7 years. She continued her education obtaining her LPN degree in 2017. Debe was blessed with becoming a mother in 2002 to Hunter Pieper. She was his loudest cheerleader at his PV athletic events. Of all her accomplishments, she was beyond proud with the opening of the Splash Pad at Lincoln Park, which was dedicated to her in June 2018. She loved to drive by and see the community enjoying the pad that she worked on for years to get in her ward. Debe was a very humble, simple person, who loved life. To know her was a gift, to be related to her was a blessing. She never saw herself through the eyes of others. She was a ray of light at any gathering that filled a room with love, spirit, laughter, and fun. She had an appreciation for Goodwill treasures and created a stunning decorated home with her findings. Debe had a passion for drawing and painting, and making cherished gifts with her skills. She took an art class at the Davenport Museum and was quite taken back when the teacher offered to buy her painting of the teacher’s granddaughter. Do not take for granted the things closest to your heart. Cling to them as you would life. Without them, your life is meaningless. 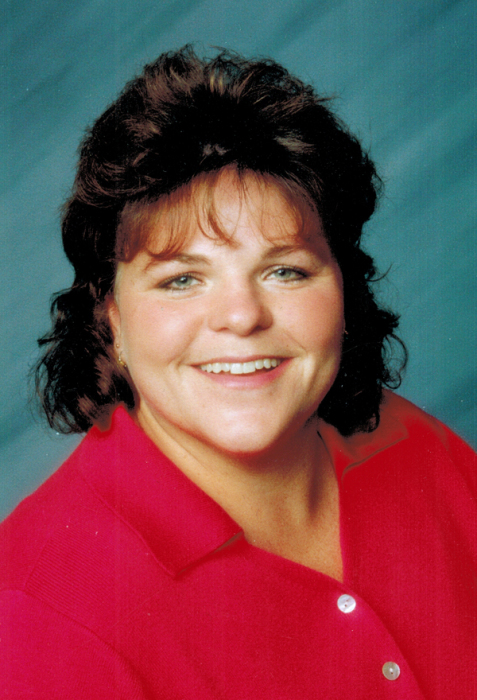 Those left to honor her memory include her son, Hunter Pieper of Bettendorf; father, Ronald LaMar of Bettendorf; sister, Sandy LaMar of Bettendorf; sister-in-law, Sharon LaMar of Bettendorf; brother, David Goossen of Cape Coral, Florida; niece, Lauren Crane of Davenport; nephews, Adam LaMar, Chris and Mike Gamble, all of Bettendorf; and her beloved dog, Murphy. Debe was preceded in death by her mother, Mary LaMar in 2011; brother, Ron LaMar in 2017, and an infant son, Keegan LaMar in 1993.